FORMERLY. A Russian-Eastern Karelian tune chosen from A.O.Väisänen's "Kantele and Jouhikko tunes" collection. We made a version with Ingrian lyrics. 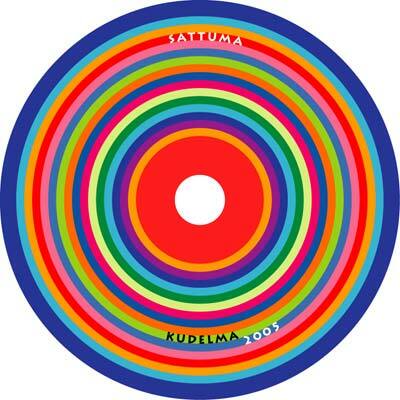 SAUNA POLKA. Säpsä village in Säämajärvi in Russian Karelia is home to the Rinne family's summer cottage. That is the place they go to get away from the hurried city life. That is where they visit Grandma and Grandpa. "This is not a vacation home", is a frequently heard slogan about the family hideout. Since playing music is comparable to work, there is always time for music. 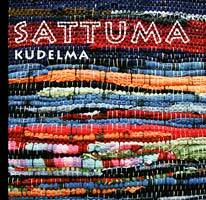 This polka was born on a beautiful summer day in the sauna dressing area with Dad's old accordion. MOTHER. Ode to Mothers and home. HEATHER BUSHES. This is what comes out when a Northern Russian "chastuska" is added to a somewhat blue grassy tune and topped with slightly Oriental sounding clarinet solo. This song tells about the popular village youth, those who can play both accordion and balalaika as well as different wind instruments. BIRDIE. 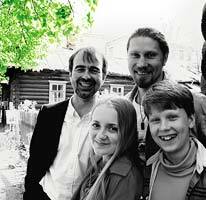 A traditional children's song from the Northern part of Russian Karelia gets a new arrangement along with room for improvisation. On the hill there was a birch tree, which had a limb, on which there was a nest, in which there was an egg, from which came a bird. MY SUN-FACED LIFE. Dima is fascinated by the wind instruments of different countries. While browsing a collection he found a Komi tune made for chipsans. Chipsan is a folk instrument resembling the pan flute. 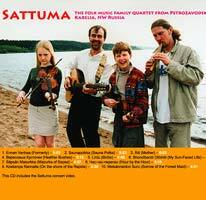 Dima got so interested in it that he had to build chipsans and teach all of Sattuma members to play it. MAZURKA OF SÄPSÄ. This tune was bom in the sauna dressing room during the summer and it evolved in the city during the winter – summer feelings abound. HOUR BY THE HOUR. This Russian language "chastuska" is accompanied by a crazy Chuvash bagpipe tune. The original, archaic bagpipe sound really hit home with Dima. The result is here for you to hear. ON THE SHORE OF THE RAPIDS. It is said that many Finnish sleigh songs came to Russian Karelia along with the Karelian peddlers. That was cultural coöperation at its best, and that was a hundred years ago. SORROW OF THE FOREST MAID. A tune that was originally hummed to a mandolin comp turned into an instrumental medley, where kantele, mankeri, violin and shepherd's flute can be heard. Thanks to: Lilja. 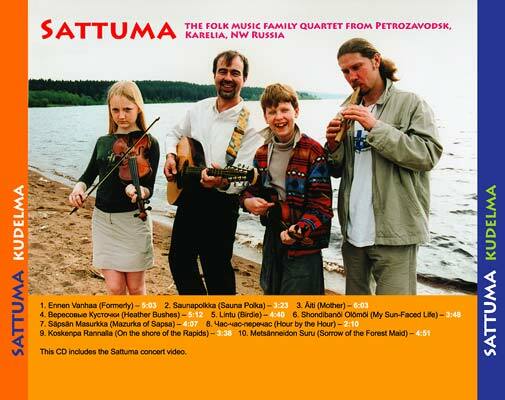 Pauli, Sveta and Timo Rinne, Lada Demina, Sherry Merrick, Sergey Pronin, Leo Jeremejev, Olga Hytti. 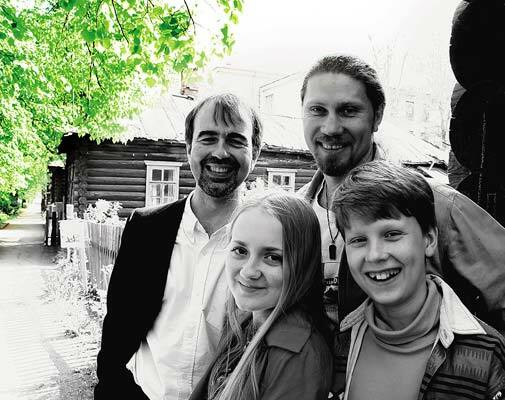 Produced by Dmitry Demin, Mikhail Ushlnin and Arto Rinne.